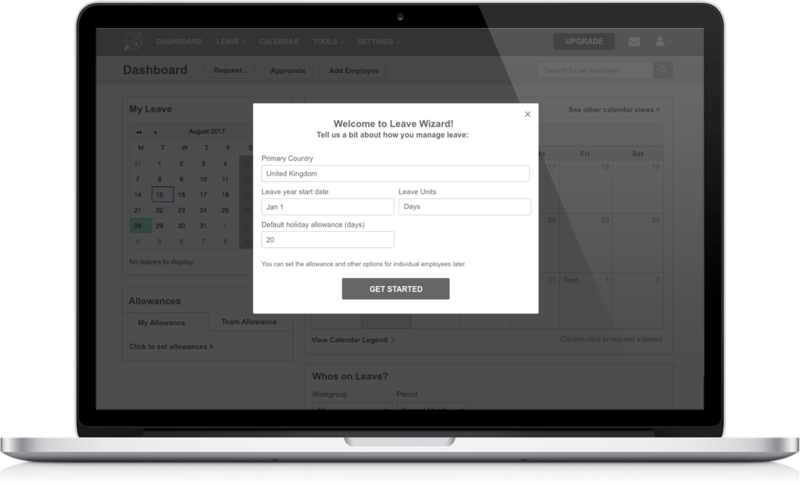 Leave Wizard is a SaaS application that allows small and medium-sized businesses to manage leave online (request and track time off, overtime, holidays, etc.). They needed help to improve their retention and subscription rates via a redesign of both the site, leavewizard.com, and the application. 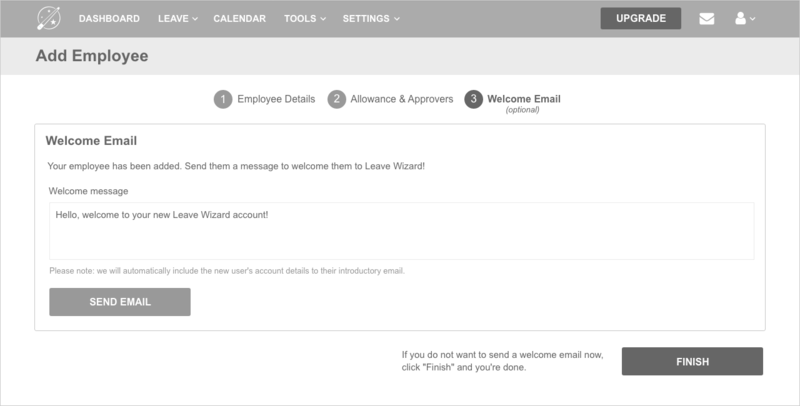 Leave Wizard was struggling with retention (getting users to use the application again within a week) and getting paid subscriptions at the end of their 30-day free trial. I conducted user tests to supplement my analysis and uncover more usability issues. Are there any usability issues with the dashboard? 2 of the 3 testers had difficulties editing a leave from the dashboard. 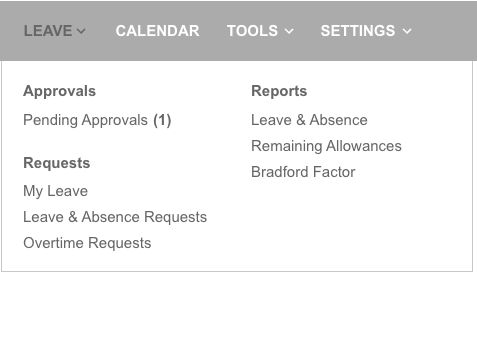 Though the dashboard has a calendar that displays upcoming leave, users cannot click through to view or edit a specific leave. 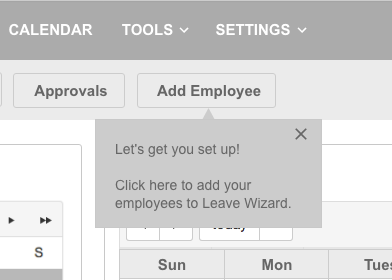 Solution: Make the leave calendar clickable on the dashboard. 2. What difficulty, if any, do users encounter when performing basic tasks? All 3 testers struggled at some point to find how to carry out a basic task (adding an employee, setting an approver, and approving/modifying a leave). 2 testers had difficulty with setting up an approver, and 1 tester struggled for almost 5 minutes to modify a leave. 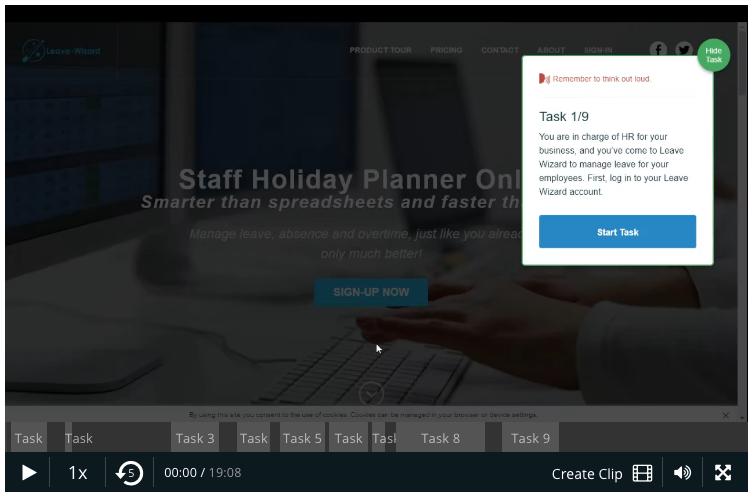 Solution: Lead users through the basic tasks as part of the onboarding process, and integrate onboarding into the application. Simplify navigation to make tasks easier to find. All 3 testers struggled to varying degrees when looking for links/actions in the application navigation. The majority of the links were located in a massive "Admin" dropdown with 4 columns, so the testers took a while to scan for what they wanted to find. Solution: Redesign the application navigation to be simpler and more intuitive. 2 of the 3 testers expressed frustration when completing a task thanks to UI issues. One clicked on the wrong button to save an added employee and assumed she was done, and another bypassed the field to set up an approver because she was unaware that it was a dropdown. Solution: Standardize UI to follow common conventions. Onboarding was separate from the rest of the application. 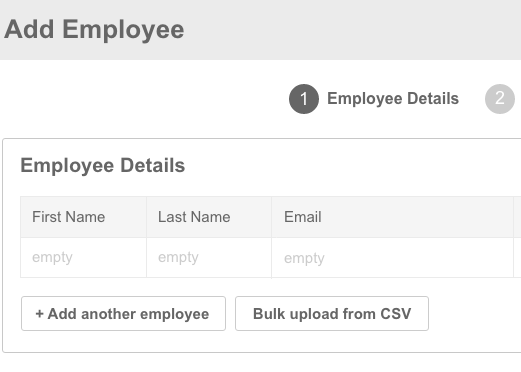 The user added the first employee(s) in onboarding, but once the user arrived at the application, it wasn't clear how to add other employees or perform other tasks. I redesigned onboarding to be integrated into the application, and to lead the user through the basic functions. The original navigation had almost all of the links under a single dropdown labeled "Admin." I eliminated unnecessary links and separated the remaining links into two separate menus, "Leave" and "Settings." I also relabeled the columns for higher clarity. Some of the basic functions caused frustration because of confusing UI and complicated inputs/steps. I standardized the UI with common conventions and redesigned the flow of the basic functions to be simpler and clearer.